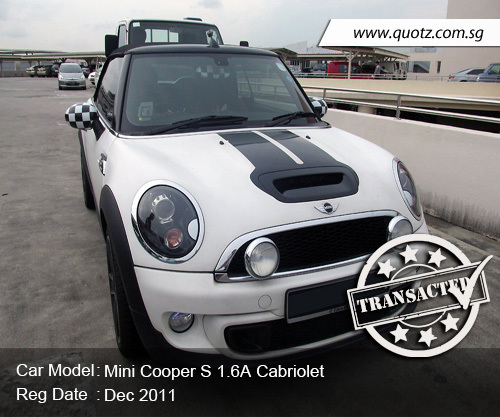 sgCarMart Quotz is Singapore's most reliable online car auction platform. 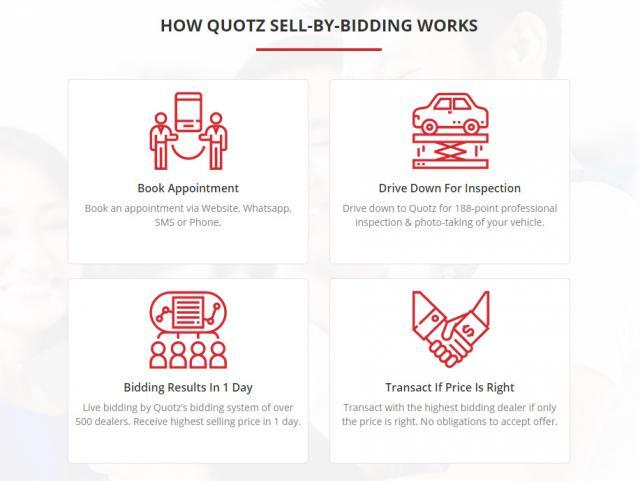 For car owners who want to sell their cars to dealers, we take away the pain of going to multiple shops to ask for quotations. Car owners are able to obtain the highest offers for their cars through the sgCarMart Quotz bidding system which reaches out to over 500 used car dealers. Car owners only have to make a single trip down to the sgCarMart Quotz office. 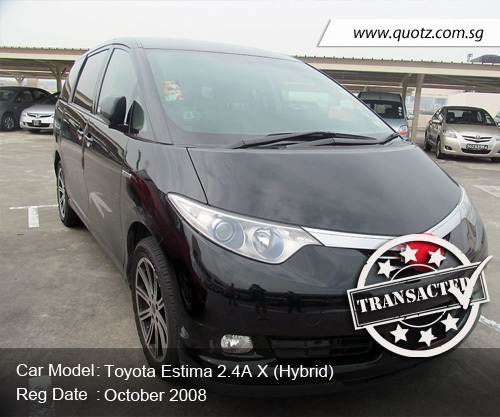 Hand-over date of the vehicle is flexible and on top of that, we offer the highest price guarantee that our final quotation is the highest price in the market. Call 6744 7571 for enquiries or to book an appointment. Edited by Quotz, 05 December 2017 - 01:33 PM. Another happy seller of our Sell By Bidding scheme. Edited by Quotz, 02 August 2014 - 12:14 AM. Edited by Quotz, 02 August 2014 - 12:16 AM. 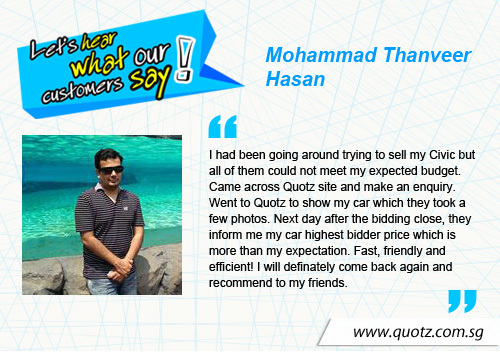 Car owners who wish to sell, find out how you can get the BEST price from over 300 dealers in just 1 day . Edited by Quotz, 02 August 2014 - 12:17 AM. Agree. Definitely better price than any trade-in offer. Must suppork. Edited by Quotz, 08 August 2014 - 11:50 AM. 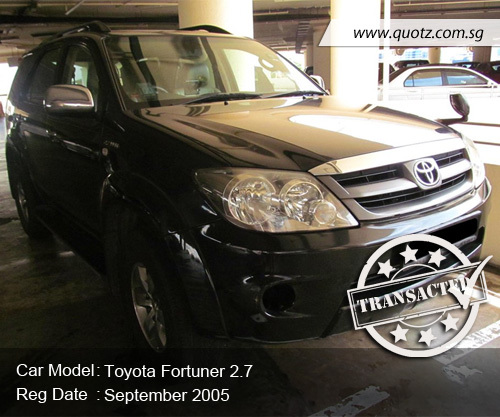 Any story from UNHAPPY seller? Edited by Quotz, 08 August 2014 - 11:51 AM. 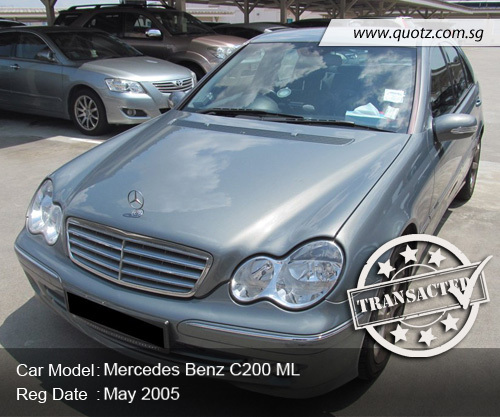 Hi, if the car owner decides to sell, naturally he is happy with the price. If the owner is unhappy with the final bidded price, he can choose to reject the offer. We have a highest-price guarantee whereby "sgCarMart Quotz guarantees that our Bid price exceeds all other Market offer prices." Our service is FREE if we do not meet the guarantee. From a buyer's perspective, would it be beneficial as well since its effectively buying direct from a 'genuine' seller & not a 2h dealer in disguise? If you cannot differentiate a TP from an LTA officer, you ain't a car enthusiast. Edited by Quotz, 12 August 2014 - 12:21 PM. 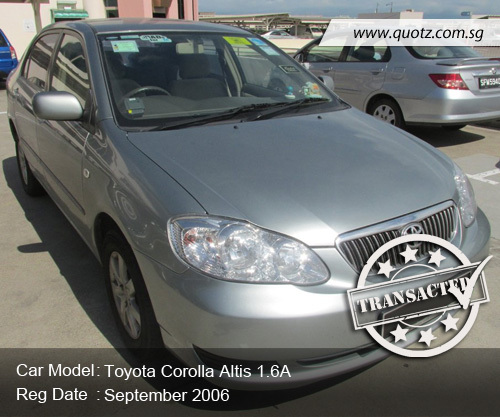 Hi the bidders are all used car dealers, so the cars are not available for bidding by the public for now. i gess the seller and quotz will have to agree on the reserve price before proceeding with the auction? Or it is solely up to the discretion of quotz? The fee payable for a successfull auction is $100? Any other charges? Edited by Galantspeedz, 13 August 2014 - 03:42 PM.